Kids today, amiright? What with their vaping, texting, emoji-ing and whatnot-never mind what happens when teen villains the Gang get their hands on Gold Kryptonite! That's exactly what the young bad guys plan to do to impress the Earth's biggest villains! 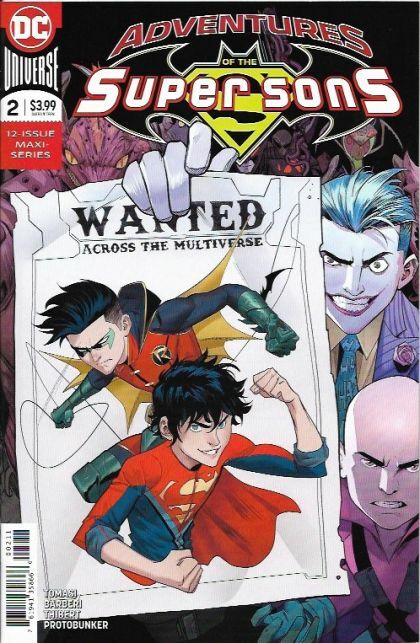 Super Sons Robin and Superboy stand face to face with Rex Luthor, Joker Jr. and other psychos pulled right from your nightmares. The Gang has already robbed Superboy of his powers, and now they're ready to reveal their grand plan!